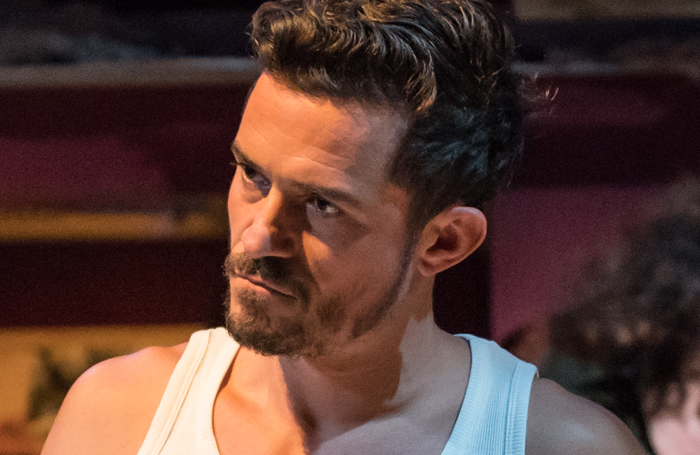 Orlando Bloom hasn’t had the most conventional career. He bagged the life-changing role of Legolas in Lord of the Rings two days after graduating from drama school in 1999. Three films later, plus about 50 more in the Pirates of the Caribbean franchise, and he’s a globally famous movie actor with a star on Hollywood boulevard. About time, then, that he returned to fill in the gaps. 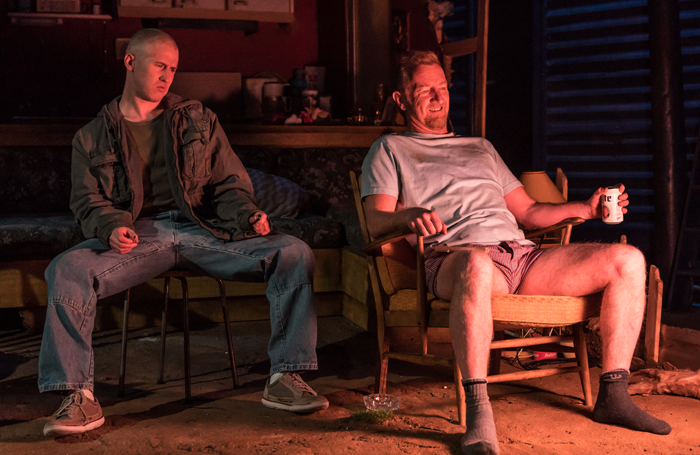 Age 41, in only his second West End appearance, he’s starring in a revival of Tracy Letts’ 1993 play Killer Joe. Simon Evans, whose credits include Arturo Ui at the Donmar and a rack of successful shows at Found111, directs a production at Trafalgar Studios until mid-August. Letts has found considerable success as a stage and screen actor, winning a Tony award in 2013, but as a writer, he is best known for his Pulitzer Prize-winning 2007 play August: Osage County, which was turned into a film. Make no mistake, though, the big draw in this revival of his first play is Bloom (and, for some, the tantalising prospect of his bare backside). But does Evans’ production make sense of a problematic play? Is this thriller all killer and no filler? What do the critics make of Bloom’s crack at returning to the stage? Killer Joe is a pretty dark play. Set in Texas, it involves a dirt-poor father and son, Ansel and Chris, plotting to hire an assassin to bump off the father’s first wife for the insurance money. The hit man – Bloom – demands a down payment: Dottie, Ansel’s brain-damaged, virginal daughter. Yes, it’s grim – but what do the critics make of it? Some see Letts’ depiction of violence and sexual manipulation towards women as tasteless and unnecessary. Tim Bano (The Stage, ★) calls the play “irredeemably unpleasant”. 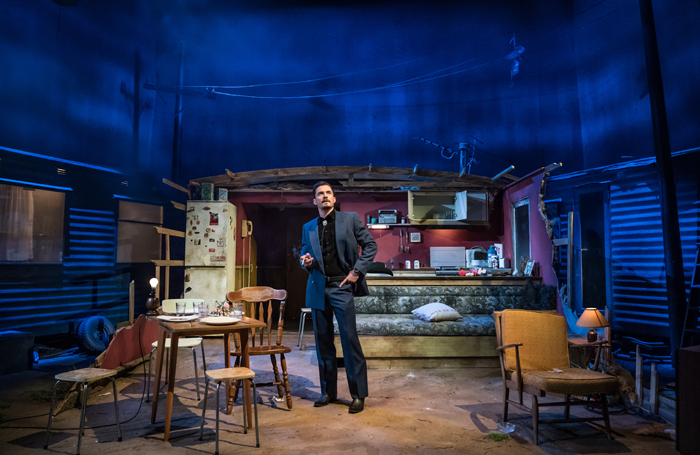 It’s an “unsettling, nasty, amusing evening”, according to Dominic Maxwell (Times, ★★★★), “violent and vile but also tender and truthful”, according to Mark Shenton (London Theatre, ★★★), and contains “enough lurid thrills here to send the casual theatregoer out into the night with the right sort of shiver”, concludes Andrzej Lukowski (Time Out, ★★★). Letts’ violence-filled depiction of trailer-park America divides the critics, then. Some think it’s meaningless misogyny, others reckon there’s something underneath the surface. Are they similarly split over Evans’ production? No, actually. Most reviews concur that there’s something tonally askew about this revival. It “overplays the atmospheric thunder and lightning and undercooks the comedy” according to Billington, and “never settles into a convincing rhythm” according to Henry Hitchings (Evening Standard, ★★). “The production, to my mind, overemphasises the lurid (the trailer-rattling bursts of thunder and lightning; the macabre glare from the TV set that at times surreally suffuses the interior) and fails do proper justice to the uncomfortable laughter that Letts’ text provokes,” agrees Taylor. 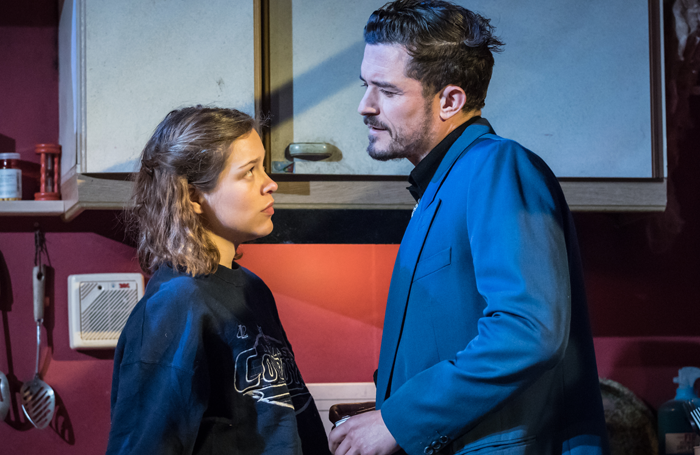 “Capturing only some of Killer Joe’s dark humour and creeping unease, this staging doesn’t exercise anything like the stranglehold that it might,” chimes Demetrios Mattheou (Hollywood Reporter). There is, however, plenty of praise for designer Grace Smart. Her set “vividly evokes this world in all its run-down grottiness”, according to Taylor, and “certainly puts the trash in the trailer”, according to Mattheou. But who cares about any of that when Orlando Bloom is getting his kit off? Anticipation is high for Bloom’s West End return (his only previous appearance was in a revival of David Storey’s 1969 play In Celebration in 2007). Does he earn plaudits as Killer Joe’s titular assassin? On balance, he does. There are some thumbs down – he “fails to convince” according to Mattheou – but the critics are mostly impressed. Politely surprised, even. He’s “genuinely unsettling” according to Maxwell, “creepily calm and considered”, says Taylor, and “has an air of savvy meanness”, according to Hitchings. The rest of the cast is generally well reviewed, too. “Sophie Cookson admirably suggests that Dottie’s seeming simplicity conceals a sharp-eyed awareness, Adam Gillen captures her brother’s borderline hysteria born out of a thwarted incestuous passion while Steffan Rhodri as their father and Neve McIntosh as their stepmother nicely mix the dim and the deceitful,” sums up Billington. Killer Joe – Is it any good? It’s tough to say. There are one, two, three, and four-star reviews available – probably more towards the upper end of the scale – but some of the negative write-ups are pretty damning, Bano’s in particular. Bloom fares well on his West End return, as do his co-stars and designer Grace Smart. Evans’ direction less well, and the play… well, the play, depending on who you believe, is either an uncomfortable but insightful dissection of American ennui or an outdated debut work that hits a bum note in today’s society.